BDI is a dynamic growth company strategically positioned to deliver problem-solving products and services to an ever-changing global market. Are you ready to join the “Value Added Sales Team? 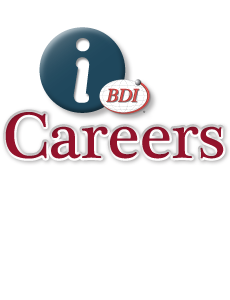 If you are a sales professional, just completing your studies-or a smart and energetic person, consider becoming a member of the global BDI Team! We have the opportunity, training and the tools to give you the path for success in the dynamic and exciting field of industrial distribution.